The classroom was filled with excitement on last Thursday, as the 4th SID Master’s group started to navigate their service innovation & design journey. Throughout orientation the 28 new students were completely submerged in the Laurea’s cocreative learning culture, which provides the foundation for success as they pursue the Master’s program together. Team-building exercises at the very beginning of the studies help the new students hit the ground running, get familiar with each other and learn basic concepts they’ll use over and over again for the next 18 months. So, even before the actual classes began, they learned to rely on one another and were able to start building professional and personal connections. Beginning part-time studies in a Master of Business Administration program can be particularly challenging for a lot of students: The transition of going back to university after years of full-time work, acclimating to a new location, getting used to the amount of work, meeting a bunch of new people with diverse cultural backgrounds, and learning new disciplines is a lot to juggle all at once. University, career, family obligations, and social life all require time and effort. There is a lot of anticipation, a little bit of nerves and seemingly more questions than answers at this early stage. But one thing is for sure: The students will have an abundance of resources to guide them along — faculty, support personnel, second-year SID students and the rest of the “SID family”. During the first day’s panel discussion, the new students got plenty of useful advice from SID alumni and students representing all the three previous SID groups. From the very start the new students are beginning to grasp what it means to be part of the “SID family” that consists of more than 100 current or former SID students, 14 SID faculty members, several visiting lecturers and 18 SID Advisory Board members. 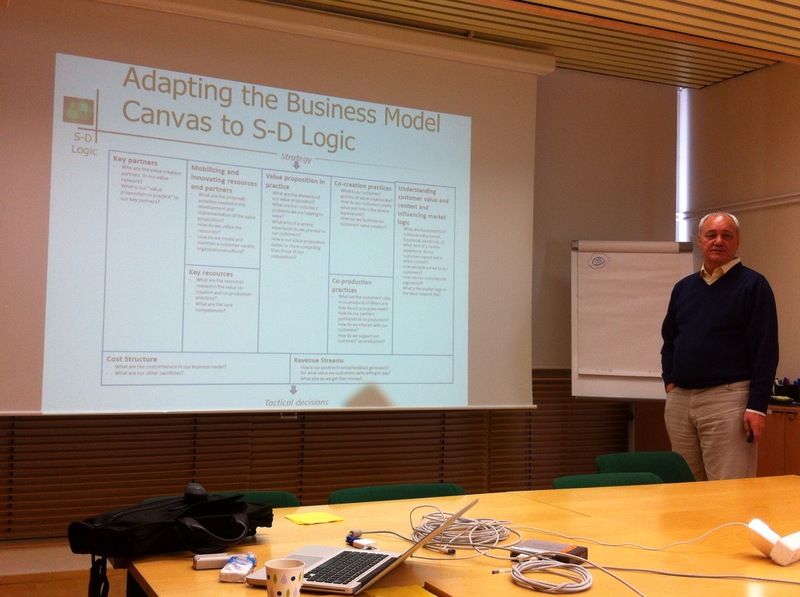 The two trending phrases in academic and business conversations are “service-dominant logic” (SDL) and “business model canvas” (BMC). Is there a connection between them? Or are they just two extremes: the first one an academic theory and the latter one a business tool? In fact, they are quite far from each other. We can see that the BMC is clearly based on goods-dominant logic. This comes up for example in the use of terms, such as customer segments, channels etc. So, does this tool guide businesses to focus on more irrelevant issues and neglect the guiding principles of SDL: customer value and value co-creation? This was the notion that brought a group of Finnish service researchers together. In fall 2012, service researchers from various Finnish universities were gathered to discuss the future of service research and service competences. During the discussion, we realized a common interest in further developing the BMC, which we all had been using in different contexts in teaching, research, consulting, etc. We saw that the BMC needs adjustments to be in line with SDL. Applying SDL in practice and truly understanding value co-creation can offer a very important competitive advantage for any organization. The BMC seems to be missing this understanding of the relevance of SDL. To discuss and further develop this issue, we first formed an informal group that was soon changed into a Special Interest Group of the Finnish Service Alliance (FSA – an association of more than 100 Finnish service researchers and companies interested in service research). 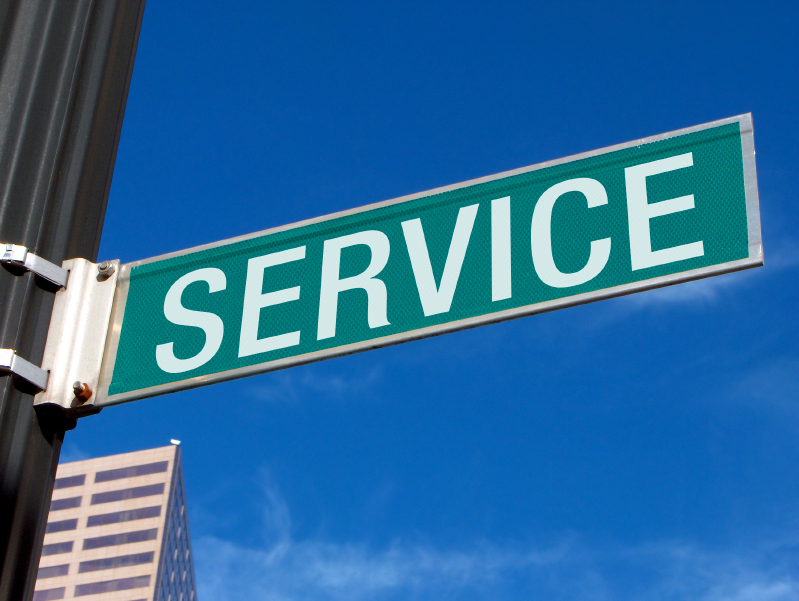 The Special Interest Groups (SIGs) are forums for discussing and developing specific service-related themes and they are founded by the members of FSA. 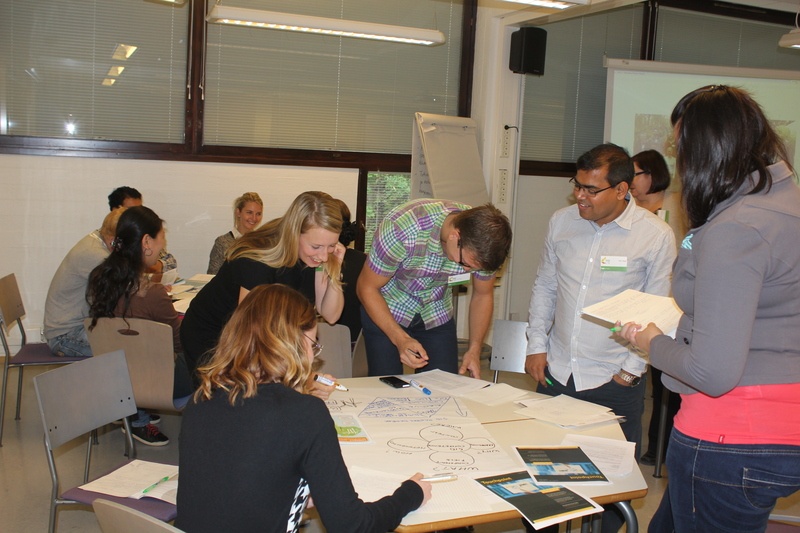 The 3rd SID Master’s group started their Service Innovation & Design studies at Laurea Leppävaara on 6th September. For three days, the 26 new students were completely submerged in the Laurea’s cocreative learning culture, which provides the foundation for success as they pursue the Master’s programme together. With team-building activities, the new students were able to establish networks and build connections from the very start. Through highly engaging and innovative processes, they were given the chance to meet their fellow students on a professional and personal level. In this story, a student from the very first SID Master’s group tells how everything went from the first idea of starting the studies to the point in which all the studies including the Master’s thesis are completed. This is a very long story. So, sit comfortably before you start the journey through the SID studies. And remember that the SID programme is constantly developed and many things will be done differently by the third group of students that begins in September 2012. 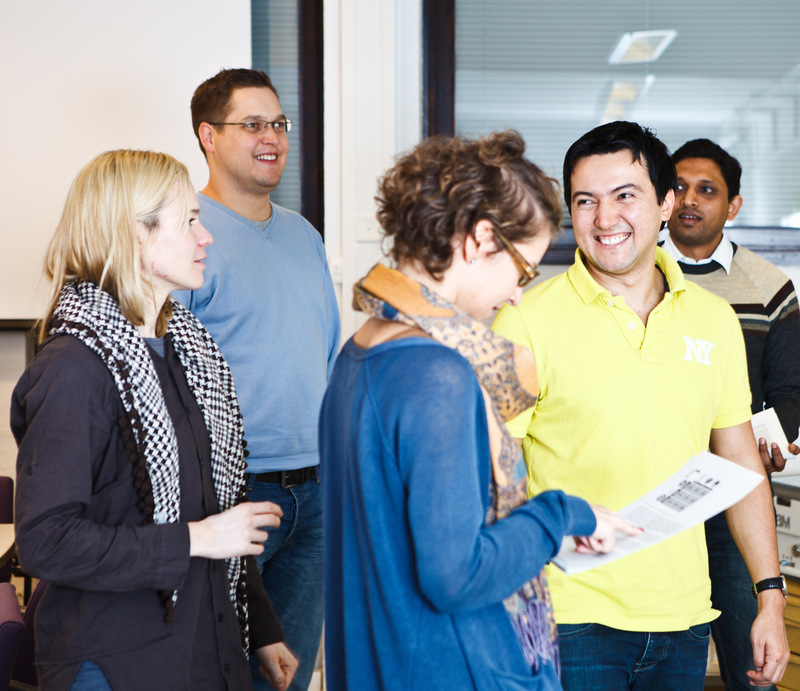 Exactly three years ago, in May 2009, we were living exciting times at Laurea University of Applied Sciences. After a lengthy development process of the unique Master’s degree programme in Service Innovation and Design, it was finally time to select the first group of students. The modern degree programme had gathered over 200 applicants, and we were to select 20 out of them to start their SID studies in September 2009. Now, three years after the first entrance exams, we are arranging the exams for the third time. Since the aim of the SID programme has been to be a proactive pioneer and stay updated, the exams and the whole programme have developed a lot during these years. Let’s now have a look back. This is a short story on how the SID programme was developed. The Master’s degree programmes in Finnish universities of applied sciences are regulated by the Finnish Ministry of Education and Culture. The entry requirement for the Master’s studies is that a student already holds a Bachelor’s or a Master’s level degree and has acquired at least three years of relevant work experience after graduation. The Master’s programme in Service Innovation and Design is a 90 ects credits professional programme training students from diverse backgrounds to become practicing service developers. This Master of Business Administration programme is provided in English and can be completed alongside a full-time job. The process of applying is described here. Laurea submitted the SID application to the Ministry of Education and Culture at the beginning of 2008. A broad report on the significance of SID competence in international operating environments was drawn up as a basis for preparing the application. The report was established on international and domestic forecast reports, studies and statistics on the development of competence needs (over 40 written sources). Most importantly, the application (and subsequent curriculum development) was carried out together with the stakeholders and networks of practical and academic actors in the field. Laurea’s SID team had a crucial role in the planning from the start. Four Laurea faculty members established a service design team in the beginning of 2007, which kick-started the design process. 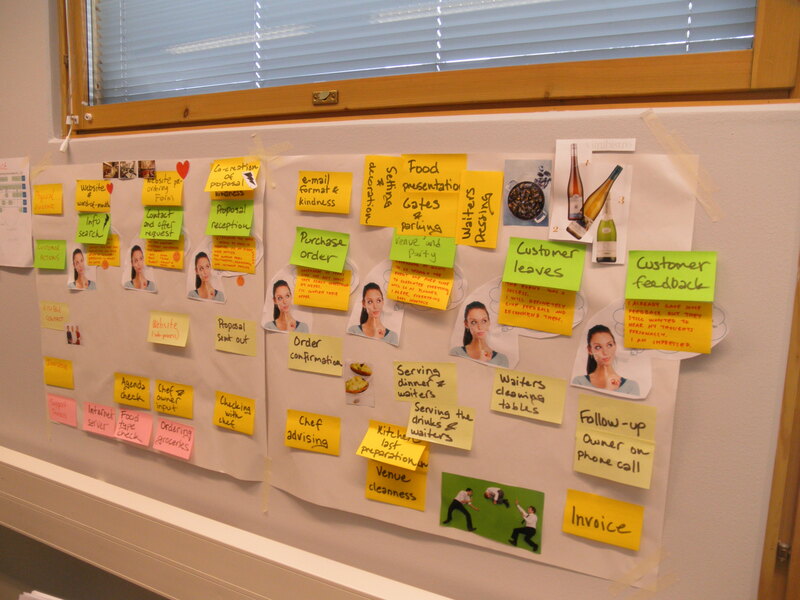 This service design team began to actively develop competence in the field through, for example, taking part in international service competence conferences. 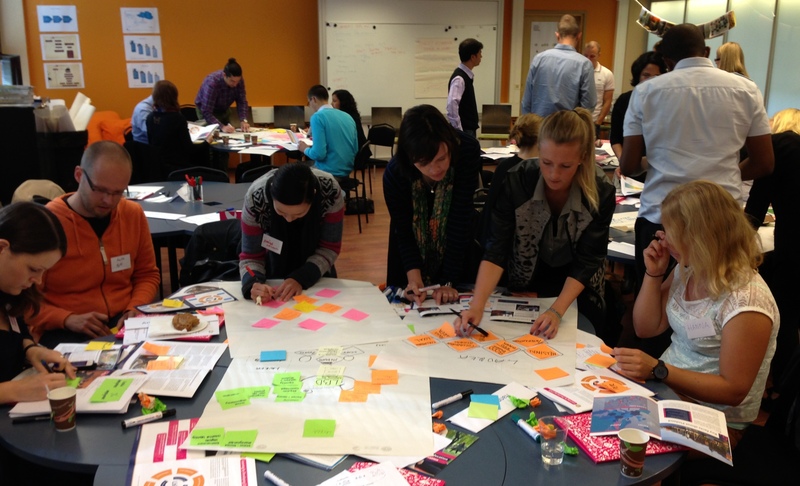 In autumn 2008, a few more staff members became involved in the team with the purpose of curriculum development, and seven faculty members took part in the Service Design Network seminar in Amsterdam in November 2008. As the SID programme was launched in September 2009, there were ten members in the team of lecturers, and the figure grew to 12 by autumn 2010. Currently, the SID team consist of 16 lecturers. The SID instructors include 8 doctors (Ph.D.), 3 licentiates and 5 masters from Laurea. Each of the instructors has a clear SID competence area. After receiving approval from the Ministry of Education and Culture to launch the new Master’s degree programme, the SID curriculum underwent further development based e.g. on various reports and methods. 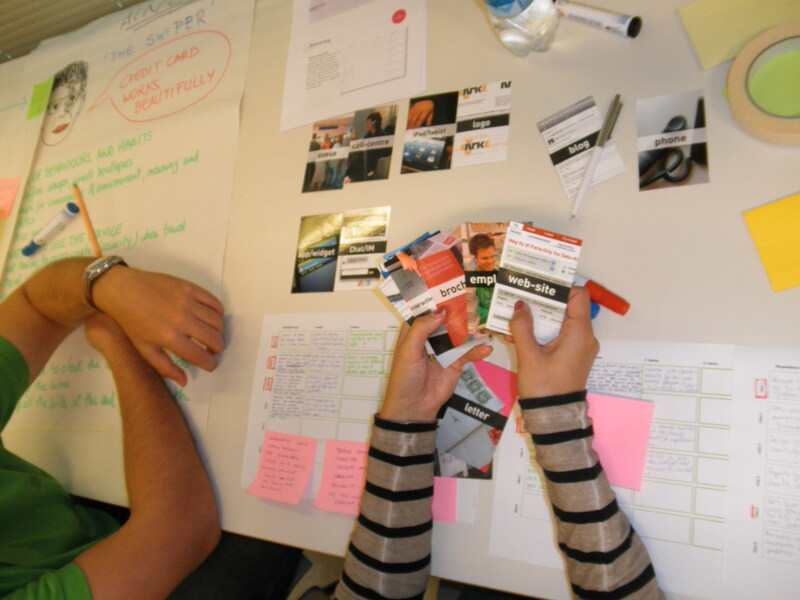 At the end of the design process, the SID curriculum was processed at the Service Design Network conference in Amsterdam in November 2008, where Laurea’s lecturers held a workshop focusing on the SID curriculum. 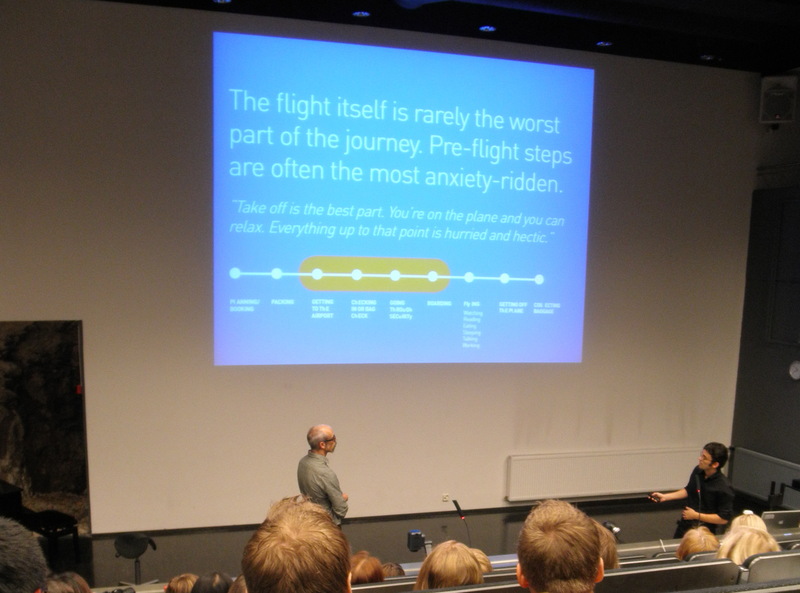 The curriculum was developed further with international experts in January 2009, when Laurea arranged its second annual Service Innovation & Design seminar. Moreover, the SID Advisory Board commented on the SID curriculum. After the launch of the degree programme in 2009, updating the competences needs has continued intensively until the present day. At the Master’s level, the professional expertise of students has to be taken into account and a mechanisms that allows the tacit knowledge sharing has to be applied (i.e. learning from each other and creating new knowledge together). In line with innovation theories, the aim has been to reach a heterogenic group of SID students (i.e. different educational backgrounds, different employment histories and jobs, many nationalities). With students from different countries, internationality and cross-cultural differences are part of everyday life of the SID programme (altogether 10 nationalities presented in the two SID student groups). Furthermore, 1-2 international exchange students have taken part in the degree programme each semester from the start. The students have a Bachelor’s or a Master’s degree in business, design, engineering or IT, and they are working for different kind of organisations, varying from star-ups to multinational corporations and public organisations. Heterogeneity of the students is a fruitful ground for creative thinking. That is why team bonding among the SID students has been one of the main targets when the students begin their studies. In the first day (the orientation day) they immediately start working in small groups to get to know each other and to familiarise themselves with the active role of a student (active dialog instead of passive listening). Click here to see what the second SID Master’s group has done during their studies (among other things). The studies include an average of three days of intensive contact sessions (face-to-face instruction) once a month (one Thursday-Friday-Saturday, at 9 am – 5 pm each day). One of the five-credit study units involves three full days of face-to-face contact sessions usually arranged one month apart. The students complete various assignments between the contact sessions typically at their own organisations. 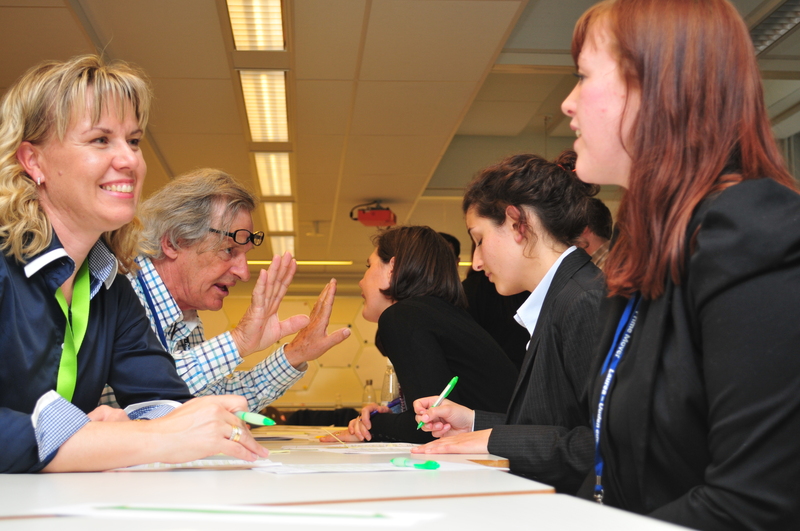 During the contact sessions, students take part into workshops, group discussions, assignment presentations, or any other interactive events, which allow personal knowledge sharing. Also more traditional teaching methods such as lectures are in use, though these events are tried to keep in minimum, and if held, external speakers from companies are often invited to lecture (business case stories). Laurea’s Learning by Developing (LbD) approach stressing the importance of developmental assignments has been taken into account in the design of learning activities. The assignments are chiefly related to students’ own organisations in order to involve them, and transfer and disseminate new knowledge in the organisations. Evaluation has mainly focused on assignment results, learning diaries, active participation or similar. Exams have not been arranged; theory has been studied through application within practical assignments. Here is the curriculum of the SID programme. 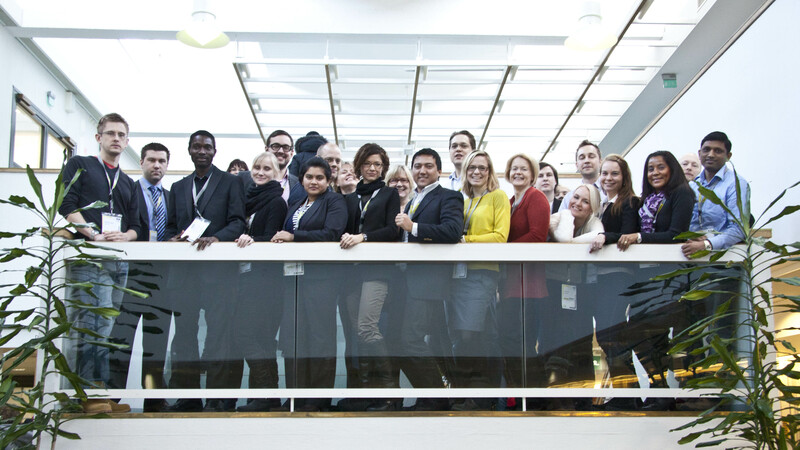 The SID degree programme has an active and committed steering group, the SID Advisory Board, which diversely represents companies of Helsinki metropolitan area and high-end service research. SID Advisory Board was assembled six months before the first SID students began their studies. SID Advisory Board has convened four times in each year. In its meetings of several hours, the Board has applied diverse methods for processing the needs arising from the SID competence base. In addition, the members have commented on the curriculum, participated as evaluators in the entrance examinations, taken part in the launch of the SID programme at the Design Museum, in the planning and implementation of the annual SID seminars, and in the SID teaching as visiting lecturers. To conclude this short story, I add here some direct quotes from the students’ feedback forms. In the near future, you will be able to read more students’ stories in this blog that show what the students actually do and what they learn in the SID programme. “Doing course tasks in groups seems to be working out well. It makes you push a bit harder and it is nice that people with different background can share their views. You get more committed when you have to give something to others as well, not just for you or for the grade”. “Course Schedule was made clear. -Assignments were prepared and published in advance. -Assessment criteria were made clear from the early beginning. -Literatures and related documents were made available on Optima”.